What's next when you leave school? preparing to leave school is a big decision but you have choices. your options include A-levels, A vocational course or employment with an apprenticeship. If you’re not sure what you want to do next – dedicated information advice and guidance staff from Dudley College of Technology are available to help you think about your future and the routes you can take. During open days you can have a look at all of the vocational areas available and get a feel for what it would be like as a student at Dudley College of Technology. Come and chat with the friendly tutors, and find out more about the subjects that you’re interested in. The range of course areas include: accounting, administration, animal science, art and design, barbering, building technologies, business and enterprise, childcare, complementary therapies, computer games design, construction, dance, electrical installation, engineering, fashion, graphics, hair and beauty, health and social care, hospitality and catering, information technology, media, motor vehicle and motorsport, music, performing arts and production arts, photography, public services, science, sport, supporting teaching and learning, travel and tourism. 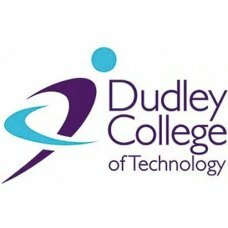 A college spokesperson said: “At Dudley College of Technology we have lots of options and we can help you decide what you’d like to do next and whether that choice is the right one for you, given your skills and interests. “Our wide range of courses means we have something to suit everyone. Our courses lead to hundreds of different career and higher education opportunities and we can help you take the first step to a successful future. If you want to get a job, earn money and continue studying for a qualification then maybe an apprenticeship is for you. The spokesperson added: “Dudley College of Technology is one of the top five apprenticeship training institutions in the UK. We promise you unbeatable opportunities to learn vocational skills and define a clear career path. To find out more about the open days and the options available to you at Dudley College of Technology, contact Learner Services on 01384 363 363.